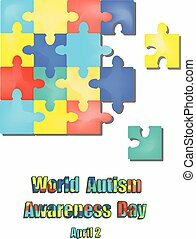 Autism awareness month. trend lettering. multi colored puzzle in the form of heart of brush strokes. healthcare concept. 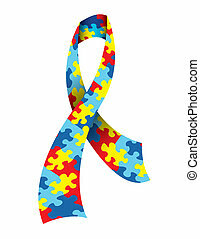 An illustration of puzzle pieces with symbolic autism awareness colors and shapes. Vector EPS 10 available. Gradient mesh in vector dropshadow. 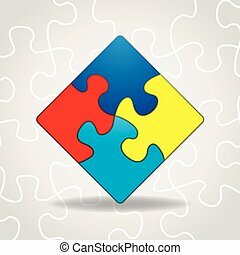 A colorful autism awareness puzzle background illustration. Vector EPS 10 available. Original emblem with multi-colored puzzle in form of circles. 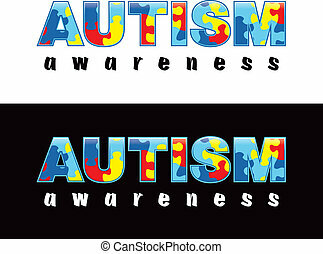 Genetic disorder or Autism awareness theme. 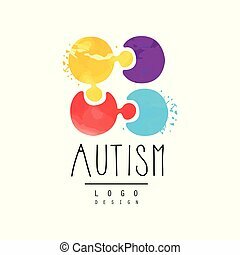 Symbol of Down Syndrome for logo of wellness center. Vector illustration isolated on white. 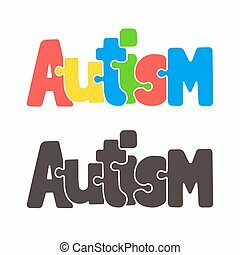 Hand drawn Autism lettering in cartoon style, with jigsaw puzzle motif. 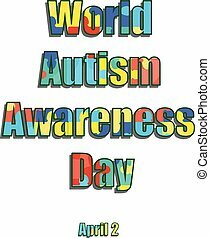 World Autism Awareness Day, April 2, 2017. We are together Lettering. Vector hand drawn illustration, isolated on black. 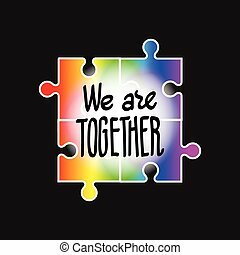 Rainbow color of puzzle frame means diversity of autism spectrum. 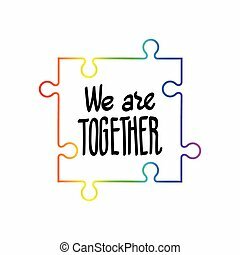 World Autism Awareness Day, April 2, 2017. We are together Lettering. Vector hand drawn illustration, isolated on white. 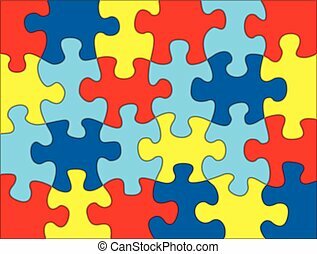 Rainbow color of puzzle frame means diversity of autism spectrum. 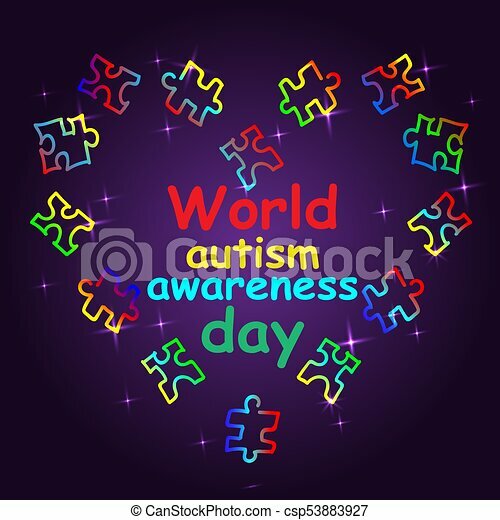 2 April as World Autism Day. Color label. Vector illustration on isolated background. 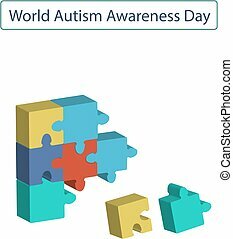 2 April as World Autism Day. Color Puzzles. Vector illustration on isolated background.